Your employer is also required to consider any issues you raise and respond to them: That does not mean they have to agree with what you have raised. You need to understand the terms and conditions you have been offered for instance what it means to be on a trial period or to carry out an unpaid work trial. Contain terms and conditions that are confusing, unreasonably restrictive or worse in breach of the law. 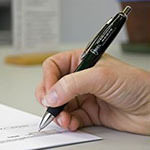 Sometimes employees receive new agreements from their employers without a detailed explanation being given of any changes to their existing terms and conditions. Any lawyer would advise you not to sign without getting advice. We will review the agreement, provide advice and amend the agreement. A copy of any existing employment agreement.